Chinese vendors sell North Korean and Chinese flags in the city of Dandong, Liaoning province, northern China, May 24, 2017. Dandong sits across the Yalu River from the city of Sinuiju, North Korea. North Korea was atop the list of priorities for President Donald Trump during his first visit to China, but it remains to be seen how much substantive progress was made on bringing parties closer to a dialogue aimed at denuclearizing the Korean peninsula. 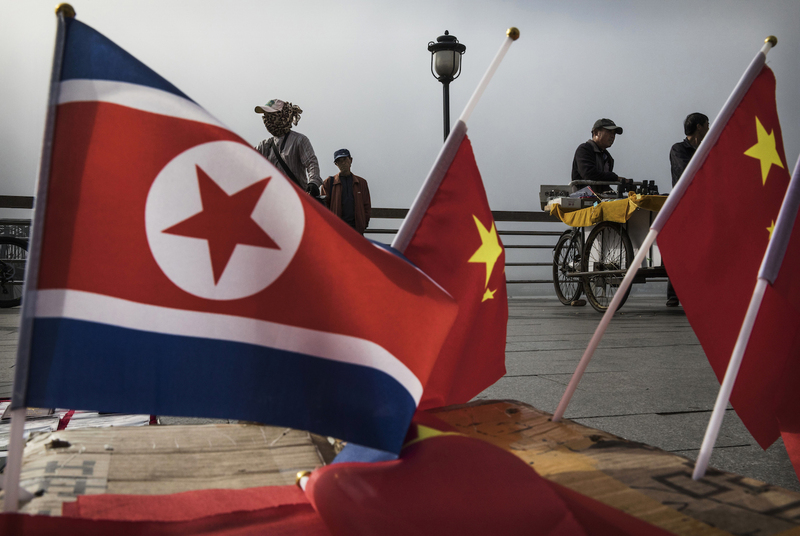 In this episode of the China in the World podcast, Paul Haenle joined Carnegie Vice President for Communications and Strategy Jen Psaki on the Carnegie Endowment’s DiploPod podcast to discuss Chinese perspectives on North Korea and the outcomes of Trump’s visit to Beijing. Haenle says that the level of frustration and debate in China over North Korea is currently at its highest point. Tensions are rising between Beijing and Pyongyang, largely because of actions taken by North Korea to undermine Chinese interests, such as conducting nuclear tests during high-profile international events hosted by China and the recent assassination attempt on Kim Jong-un’s nephew in China. While the United States and China agree on the ultimate objective of denuclearizing the Korean peninsula, persistent mistrust and differing priorities prevent the two countries from making significant progress. Ultimately, Haenle argues that North Korean actions that undermine Chinese interests, rather than U.S. pressure, will have a greater impact in fundamentally shifting Beijing’s policy toward Pyongyang.